New images from the new work "Trades" are now visible on the portfolio website. Trades is a group of various graphical representations af financial market data. The resulting pictures show the very high intensity of the financial activity, its flux, and some recurring patterns due to machines that now control the majority of financial decisions on the markets (algorithmic trading). Historical tick by tick trading data is used as a source to create a point cloud rendered with a specific point of view. 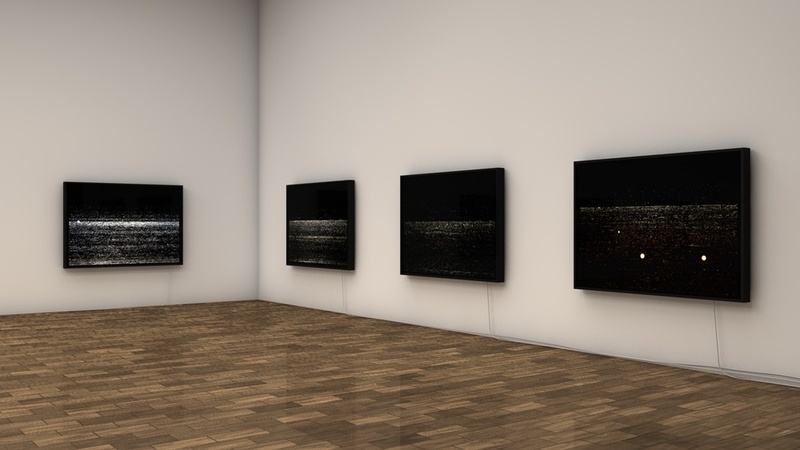 Part One of Trades series is made of 7 large size lightboxes representing the 7 last days of the Lehman Brothers stock on the US equities market from September 9 to 19th, 2008. Graphical representation of the 1’316’899 trades occuring between 7:31 and 16:00 on the 09.09.2008 for the Lehman Brothers Stock (LEH) on the US equities market, including pre-market trades, and day sessions. Position of the dots reflects time of the trade to the millisecond (reads from top to bottom, right to left) Size of the dots reflects volume of the trade. Halo reflects amount of simultaneous trades. Color reflects the price of the stock. On Sept 15 2008, Lehman Brothers files for bankruptcy On the 17th, before end of quotation, one LEH stock was worth 0.13 USD. Remember the Photo Phnom Penh festival 2010? Well, the 2011 edition is about to take place in November and the images I did for the 2010 editionare now online. I had three weeks to photograph the city of Phnom Penh and produce the big wall exhibited on the fence of the french Embassy (see exhibition view section on my website). I was particularly interested on the very fast and ambiguous urban developpement of the city. I recently added some exhibition views on the website. Follow: www.monsieurmathieu.com then choose the exhibition views series in the left menu. Interview on Facebook about monuments series (in french).